A 15-YEAR-OLD youth in trial for the 2017 stabbing murder of his mother in Garden Grove was arrested after he briefly escaped from juvenile hall (Shutterstock). A former Garden Grove youth charged with stabbing his mother to death in May 2017 escaped from Juvenile Hall in Orange Friday but was recaptured at a McDonald’s restaurant in Anaheim. 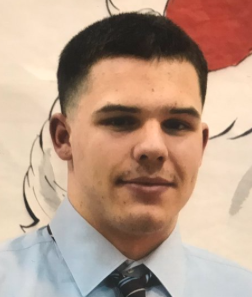 Ike Souzer, 15, was apprehended after a search by police officers, FBI agents, sheriff’s deputies and federal marshals, according to the Associated Press. He managed to escape the facility through the roof and then jumping over a perimeter fence. He was in the middle of a murder trial in juvenile court when he made his short-lived escape. Souzer allegedly stabbed his mother – Barbara Scheuer-Souzer, 48 – on May 3, 2017. The original incident was first reported to police at 5:44 p.m. in the 11000 block of Gilbert Street. She had sustained stab wounds to her abdomen. She was treated at the scene by paramedics and taken to a local hospital where she died from her wounds the next day. Police say that before she died, she told them her son was her assailant. He was arrested a short distance away at a shopping center. A fire that broke out Friday morning at an apartment building in Huntington Beach was quickly knocked down by HBFD firefighters. The blaze was reported at 11:44 a.m. at 2142 Elmira Ave ½, between Beach Blvd. and Main Street. There were no injuries and the cause of the blaze is under investigation. 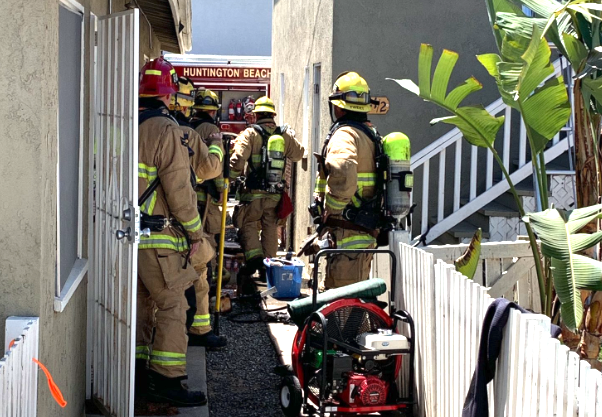 HUNTINGTON BEACH firefighters knocked down a blaze in Elmira Avenue on Saturday (HBFD photo).